One of the best things about PAX this year was getting the first chance to play Torchlight, a game that (for me at least) came out of nowhere. Intrigued by my experiences with the game I pleaded at the virtual gates of Runic for a chance to learn more about the game and here's the result of my insessint pleading and nagging. Can you introduce yourself, talk about your role on the project? How did you get into game development and what's one thing that you love about the industry? 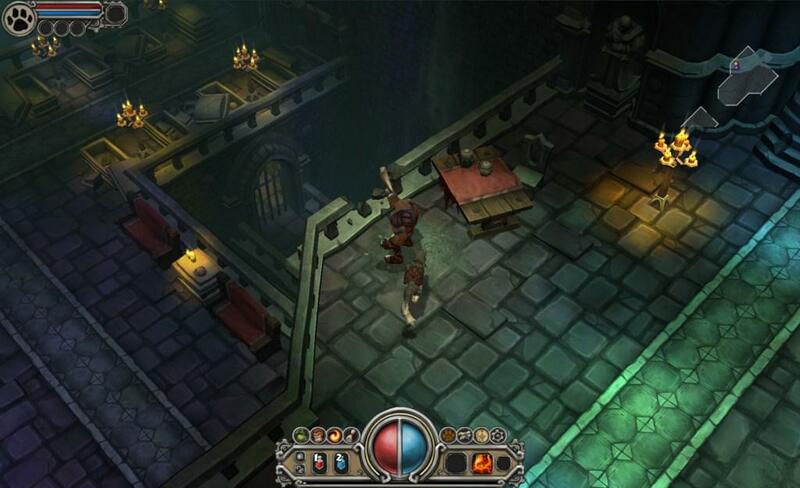 I'm Erich Schaefer, co-founder of Runic Games and Designer on Torchlight. I got into the game business long ago, mostly by accident. One thing I really love about the industry is the fast-paced creativity; watching crazy ideas take shape over night and then becoming something thousands of players get to experience. This is Wonder Russell, Minister of Culture – I fell into this industry in a stroke of brilliant serendipity, and I love the work hard play hard ethic! And I’m Jason Beck, the Art Director at Runic. I went the traditional art route until I discovered that I loved making game art more so than other disciplines. The industry is great for us artist types because where else can you create monsters for a living and also brush up on your insomnia skills? 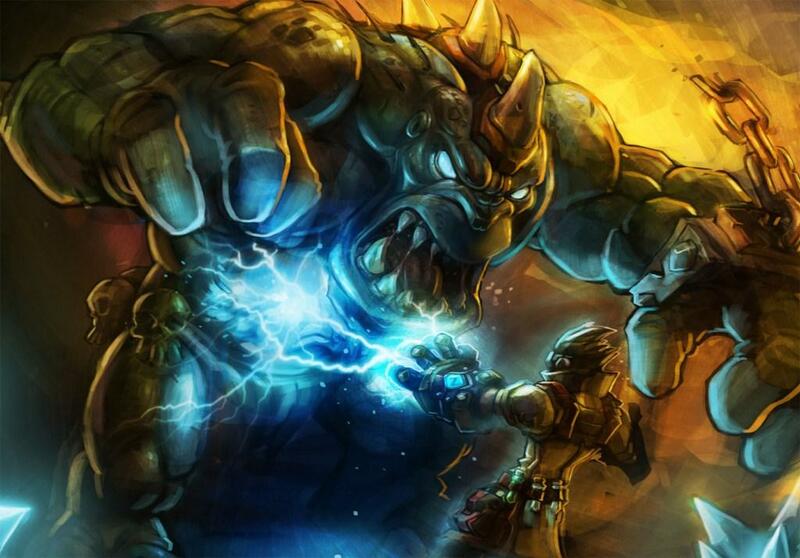 Torchlight was kind of under wraps until it's big appearance at PAX this year. Was that intentional and could you talk about why you went that route rather than the slow burn over a period of time that a lot of games use? How long has the game been in development? It would be great to say that was part of a marketing strategy to bowl people over, but if you came by our 10 x 20 booth you’d probably see it was a matter of funds. Basically every bit of startup capital we had when Runic Games incorporated went into the game, and not into any advertising. It was and is our fervent hope that the game speaks for itself – because it is fun to play, accessible, familiar, and addictive, people would fall in love with it and tell their friends. We really rely on word of mouth. As far as the slow burn, we just didn’t have the time nor budget. We were on a countdown from day one, which demanded a super fast turnaround. 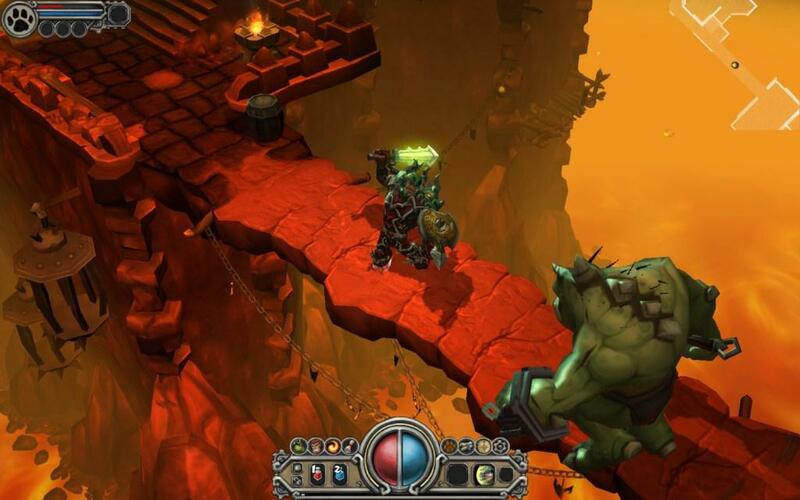 Torchlight has been in development a mere 11 months. So in a sense, it did come “out of nowhere” as far as traditional development times are concerned. Runic Games is an indie developer and abides by the rules of survival of the fittest. For those who have been living under a rock can you give us the gist of the plot of the game? 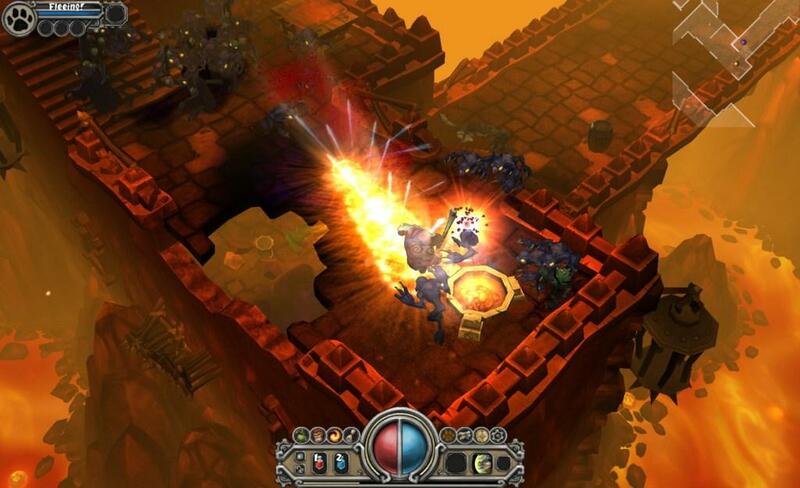 Torchlight is the name of a boomtown that sprung up over an Ember mine; Ember is magical ore that aids in creation of magic weapons and spells, but also has a corrupting influence. Because this mine is so rich in Ember, the corruption is spreading like a virus within the mine and even out into the town itself. As one of three hero classes, your journey into Torchlight takes you deep into the mine, seeking the source of Ember, which leads you through many ruined civilizations who all tried to harness the ore, only to be consumed and lost by the corruption. What that means for the player is a deep dungeon-crawler with randomized levels and unique tilesets of previous civilizations, ranging from forgotten, jungle-like temples to Dwarven ruins – sort of like Journey to the Center of the Earth –and of course each level overrun with distinctive loot piñatas in need of a good bashing.Could you describe the three classes in the game and what makes each one different? Why only three classes and do you think you'd add more later on? You can choose to play three different character-classes, the Destroyer, the Vanquisher, and the Alchemist. They loosely follow the melee, ranged, and mage archetypes, but with a twist: each class has its own unique active skills, but they can be used with any in-game weapon or spell, which are class-agnostic. If you want to play a melee tank who wields a gun and wand spitting ice, we want to make sure you can! That said, their different skills do favor their archetypes so you may find it tricky. But it’s entirely possible, and fully dependent on your gameplay style. We know it’s not a ton of customization, but that’s less important in a single player game where the goal is monster genocide and loot hoarding. On our lean timeline, we wanted to focus on the really good stuff – the combat. For the MMO however, we will offer deep character customization across more character choices - these three classes may not even necessarily appear. How are you managing to keep the price down to $20? There's a ton of content in the game and it seems like you could sell it for a bit more for the game. 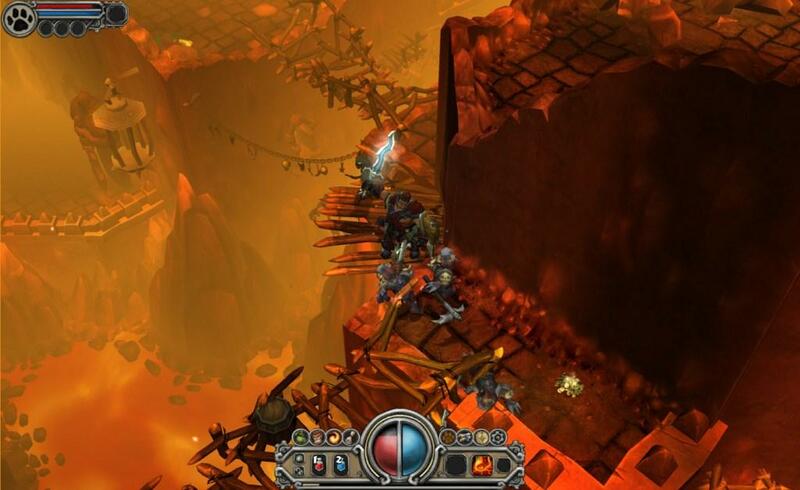 Erich: Around the office, we talk about Torchlight as a AAA-casual game. It doesn't come with all the bells and whistles like cinematic sequences or support for the latest DirectX 23 features. Hell, it doesn't even have any multi-player capability. There is a lot of content and a lot of hard work behind it all, but we wanted to make sure we were providing a lot of value for our customers. We're also a new studio with an unknown IP, and it's more important to us to reach a broad audience than to squeeze every penny of profits out. What was the hardest part of the game to develop and refine? Could you talk about one or two things that you had to cut from the game that seemed like great ideas on paper but didn't work well once you got it coded? Erich: At least design-wise, I think the hardest aspect of Torchlight development were the skill trees, the passive skills, the learn-able spells, and how they all tied into each other. We tried many different configurations and layouts. The learn-able spells we planned early, got dropped, and then came back later. For a while, the passive skills were on a separate tab and advanced directly with fame points. So we tried a lot of things but ended up with a good blend of character-build freedom and relative simplicity. 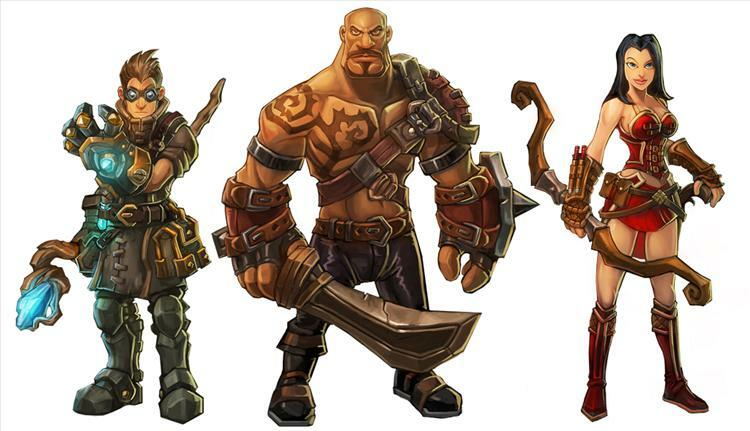 Torchlight has a very cool and unique art design, can you talk about how you came up with the design and why you went in that direction? Jason Beck: We had just come off of Mythos, which was a similar project with a relatively similar art style. It was a bit different in that it was a collection of styles that evolved as the scope increased…it never had a real pre-production phase, so it was a bit of style soup until we got the 3rd zone. You could say the art in Torchlight is a more stylized, refined, and evolved style of what we had done previously. Our basic principle is taking ‘classic animation’ techniques of a painterly background with crisp, comic-book-ish style characters atop it to create a clean separation. We also wanted to make sure the game would run on virtually any system, so we went pretty low-tech with the art. It was important for us to make Runic Games’ first game and new IP to have its own style, but still meet our goals of being accessible. Do you think that with a certain game (it rhymes with Fiablo Tree) being pushed back into 2010, it helps create more of a market for you? 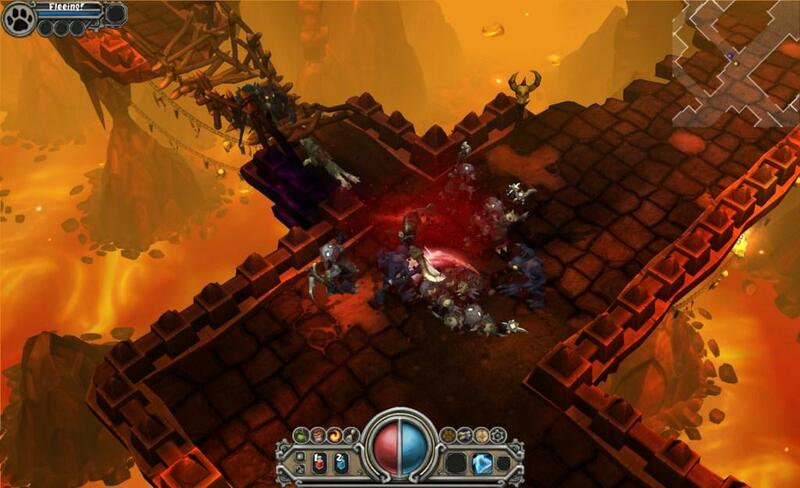 There is a large and hungry audience for Action-RPG’s, especially given that the genre is still small and games like Torchlight only crop up every few years. That in itself creates a good market for us – but of course, we hope that the gamers who are hopping from one foot to other waiting for D3 will be able to scratch that itch with Torchlight in the meantime.Can you talk a bit about what you can do with your pets and how they work in the game? How long will it take them to get to town and sell gold for you? At the start of the game you choose a pet – a wolf or a lynx. They travel with you and level up with you, and won’t die –if they get wounded they’ll flee for a while and then return, or you can drop potions on them. 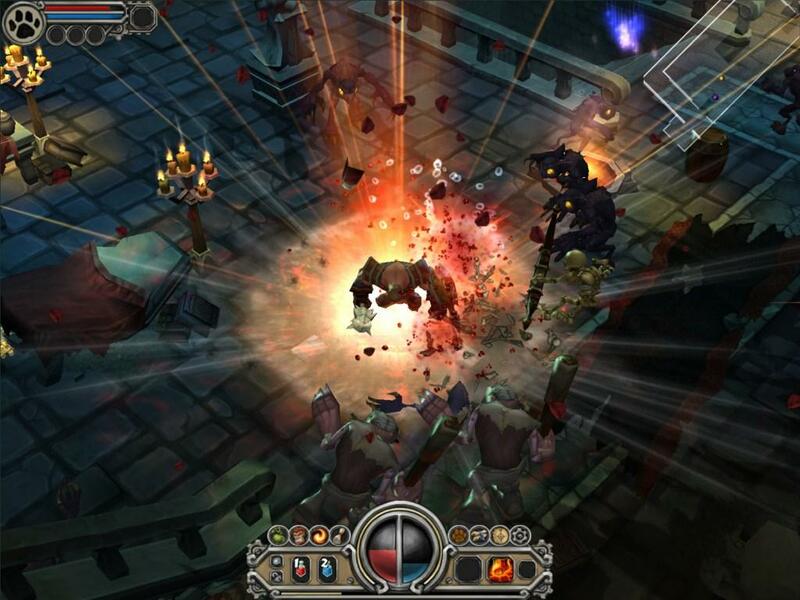 They will pick up loot for you and can learn spells like summoning zombies or casting fireballs. And yes, they will go back to town and sell your overflow loot for you, which takes thirty seconds or so – and the gold ends up in your inventory. Was expanding it into an MMO always planned or did that come about later? Have you figured out what the pricing model for the MMO portion is going to be? Expanding into an MMO was always the master plan! We want to be able to get back to what we were doing with Mythos, and that’s a free to play MMO in the ARPG style. An MMO takes a lot more time than singleplayer and didn’t fit into our initial timespan given our start-up budget. Putting the singleplayer out first allowed us to ship a title (a fairly meaningful part of the dev cycle that was sorely missing from Mythos) and get our foot in the door as a studio, before tackling the MMO. Was including the level editor planned from the start of development or a happy accident? Are you anxious to see what the player community will create? Will you include any of that content in the MMO if it's good enough? We planned to ship the tools with the game from the very beginning. Part of that is because we love modders and want to support that community – people can get so incredibly creative and will definitely come up with some really great ideas that we’re looking forward to seeing – and playing for ourselves! We don’t plan to use any user content from the MMO just from a legal standpoint, but that could change if someone’s mod blows us away. User generated content always carries some risks, what are you doing to control the potential outbreak of phallus filled levels? Will there be an in-game area to download other levels or will users have to share them through a website? Absolutely, there’s a big risk and we don’t want to be in the business of approving mods, whether the X rated versions or fan mods of established IP like Marvel and Star Wars. Too much of a legal headache! To that end, we won’t be hosting any mods on our site. Mods will be available through several fansites who are all set up to host them, www.torchlightinsider.com and www.runicgamesfansite.com. Users can browse mods there and grab the files in .zip or .rar form and drop them into the game. One of the things that impressed me at PAX about the game was that it was very time friendly as Torchlight can be played in 10 minute or 5 hour chunks. Do you think this is going to be something we see more of? We like a game that is respectful with your time – folks have busy lives and it’s really freeing to be able to play on your own terms, whether that’s all night in one sitting fueled by pizza and candy, or by spending fifteen minutes on a random quest before heading out the door. It’s a feature we’ll definitely continue. It just fits in better with our lives. Is there anything we missed that you think is important? There will be a patch coming soon to fix some bugs we found at launch, as well as a playable demo. Those will be on our site no later than next week and hopefully even by Friday, November 6th. The game is available from Steam, Perfect World, Direct2Drive, GameWare, GamersGate, and WildTangent, and will be in boxes in early January via partner Encore. The mod tools will be release on our site as a free download as soon as the patch is out. We'd like to thank the Runic folks for taking the time to answer our questions. Be sure to go and buy their game to help keep cool indie games alive.